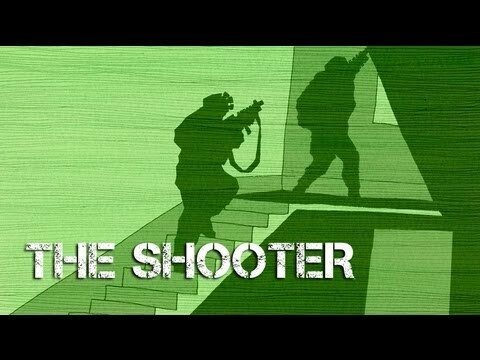 Meet the Navy SEAL who killed Osama bin Laden as he opens up in this animated film about the 2011 raid and those three shots that changed history and his life. The film tells the story of the personal aftermath and startling failure of the United States government to help its most experienced and skilled soldiers carry on with their lives. Sitting in a wicker chair, he ponders how he is going to feed his wife and children or pay for their medical care. Shielded from the sun by the patchwork shadows of maple trees, the shooter sweats as he talks about his uncertain future, and his plans to the Navy and Seal Team 6. He tells his story about joining the Navy at 19, after a girl broke his heart. To escape the pain, he almost by accident found himself in a Navy recruiter’s office. “He asked me what I was going to do with my life. I told him I wanted to be a sniper.